A shoe mounted wing for any HDSLR camera. 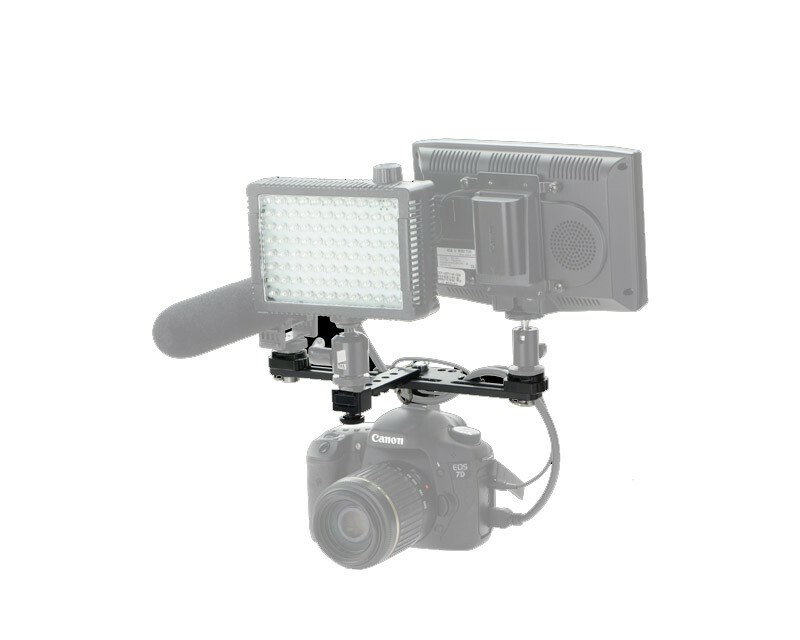 This compact setup is capable of holding a monitor, light, and microphone; making it the preferred choice for fast, on-the-go video capture. • Black anodized aluminum for strength and light weight. • Fast on and off the camera shoe. • Built-in Wire Keepers for a clean looking setup.